Large, powerful, daunting. The strongest cats out there (except for possibly tigers). Roars that can be heard 5 miles away. Speeds of up to 50mph. They possess sleek fur and voluminous manes. With 1 1/2 in. (or more) retractable claws and about 3 in. 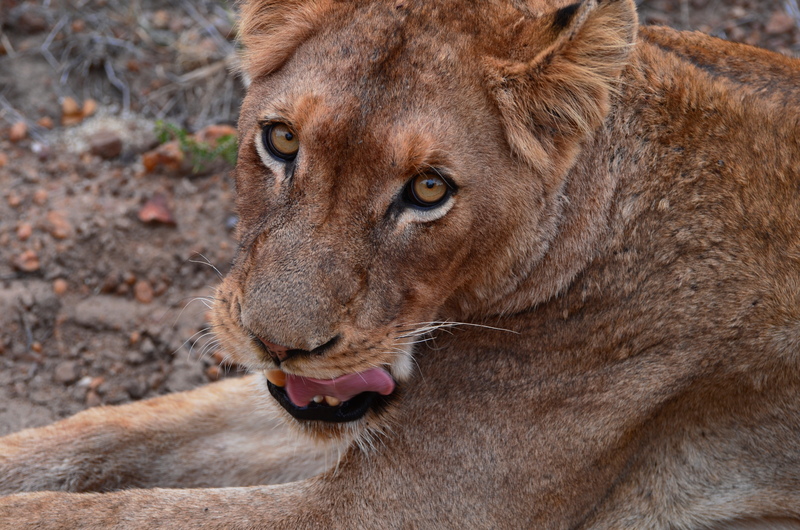 canine teeth, these animals are deadly. They are the leaders and defenders of 15 member groups commonly known as prides. They are the first ones to devour freshly caught prey. They are the ones who have no humility. They are the ones to make wildebeests, impalas, zebras, giraffes, buffalo, wild hogs and sometimes rhinos and hippos fear for their lives. Large, powerful, and daunting. 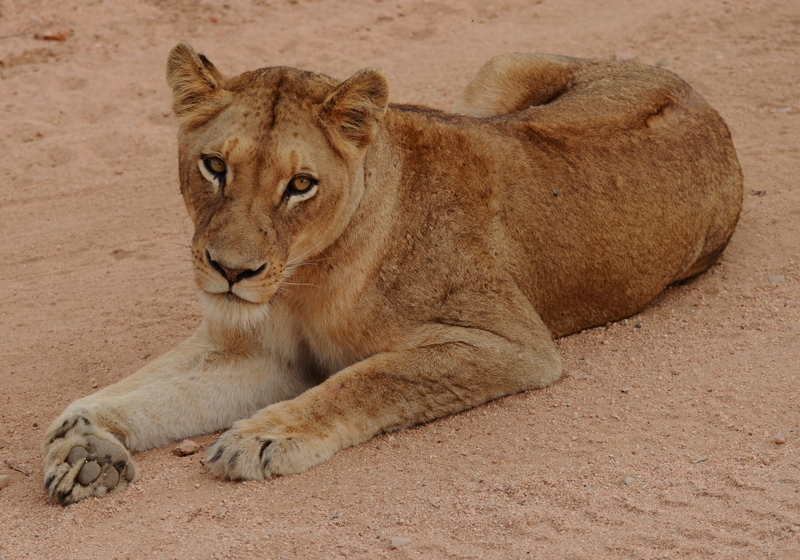 These animals are lions (males in particular). 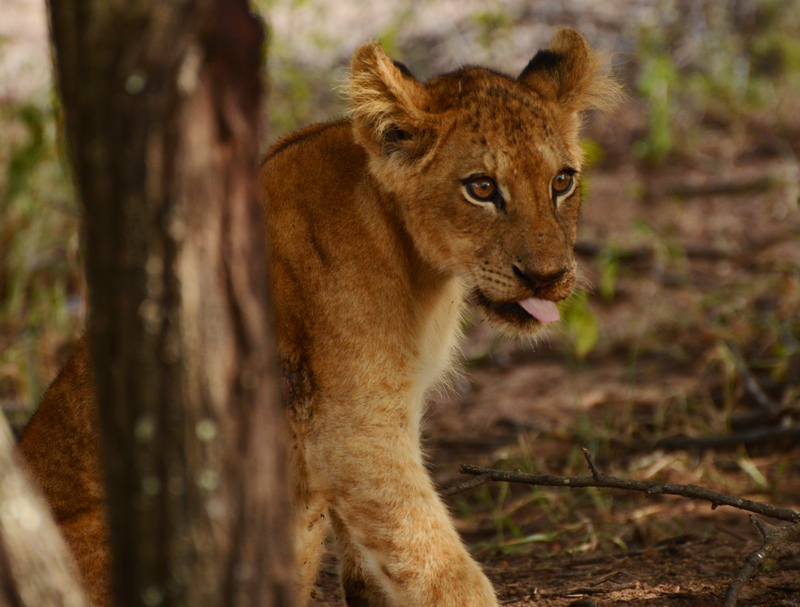 During our 6 days on safari, we encountered lions more often than I realized at the time. 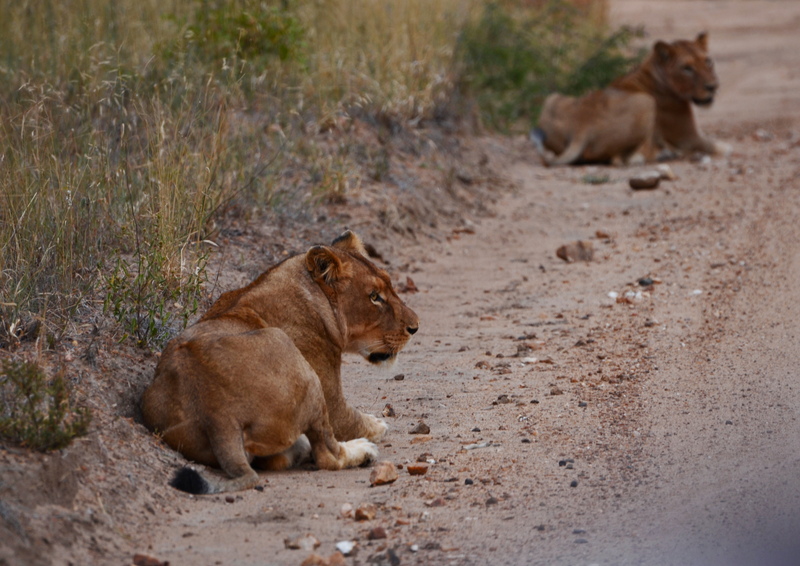 Over all, we went on 10 safari drives (2 of which did not include cats in their park), and of those 10 drives, we came across lions 5 times!!! 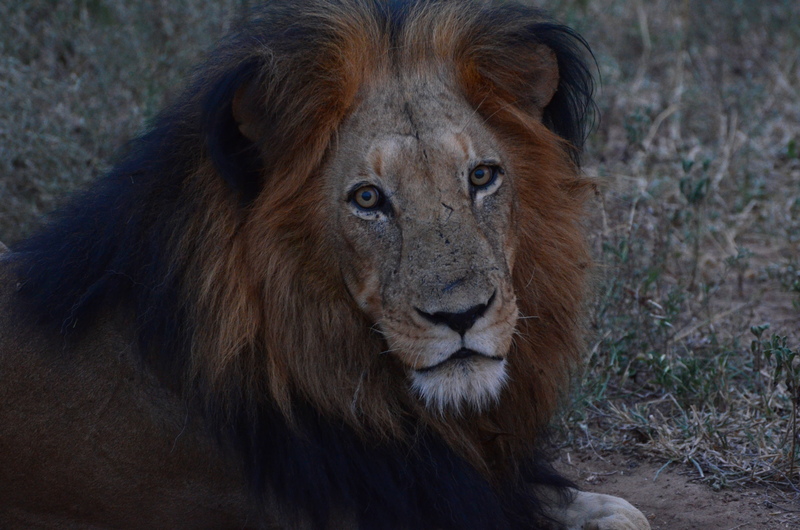 Twice we saw male lions (once in the morning and once in the evening). 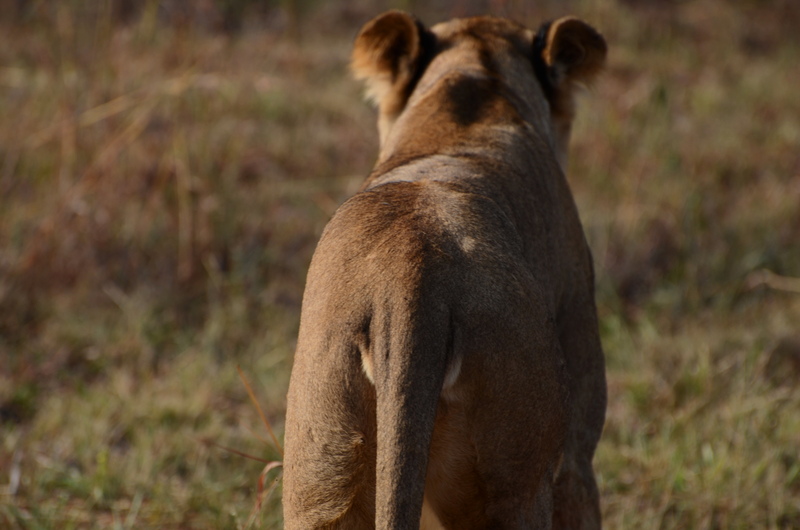 Twice we saw female lions (once in the morning, once in the evening). 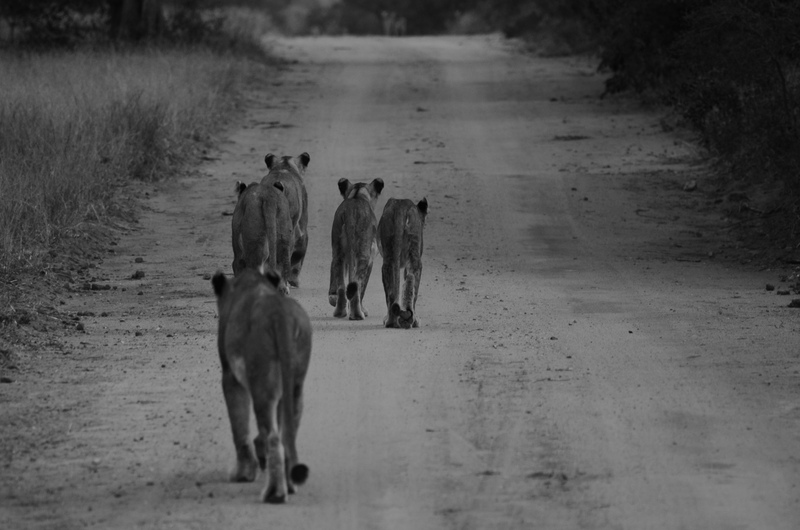 And once, we saw cubs (with their mom) in the morning. 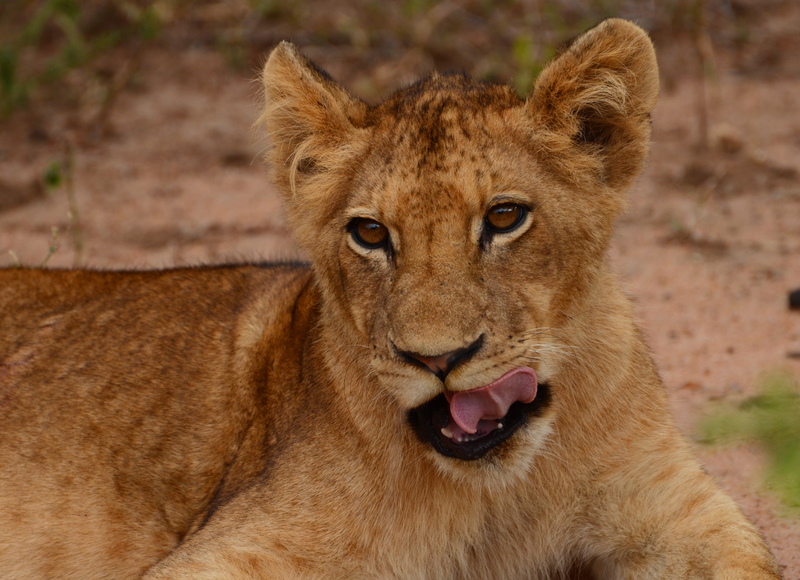 Until I went through my photos, I hadn’t realized we’d seen lions so many times! We were always looking forward to catching the next “cool” animal so I never really had time to think back on it. However, I now have time to look at my photos and reflect on what I saw and experienced. 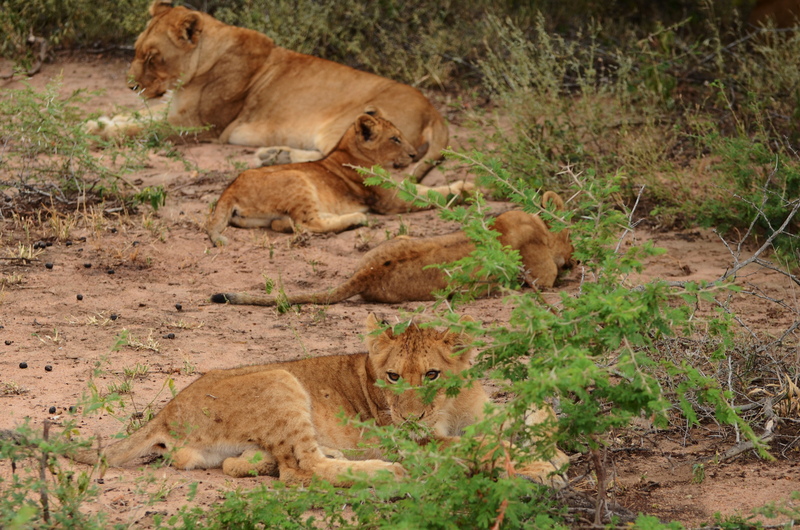 We never saw just one lion on its own…there were always several of them in the same spot. 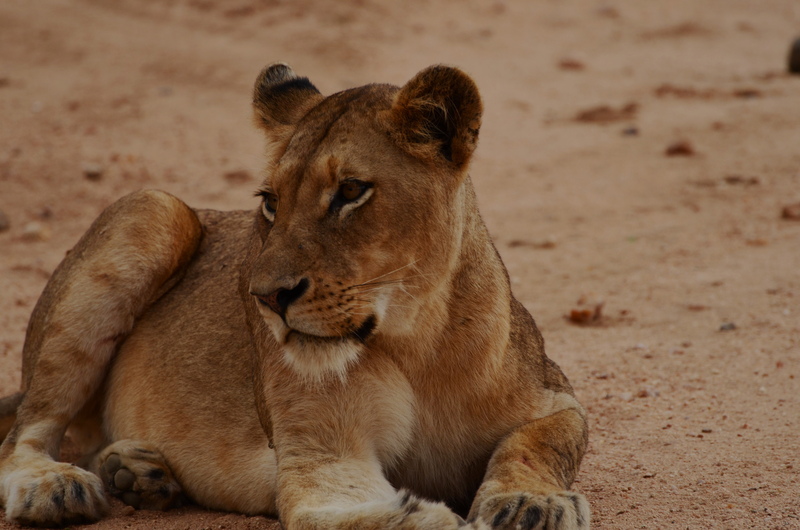 Did you know that lions are the most social of felines and are the only ones to travel in groups? 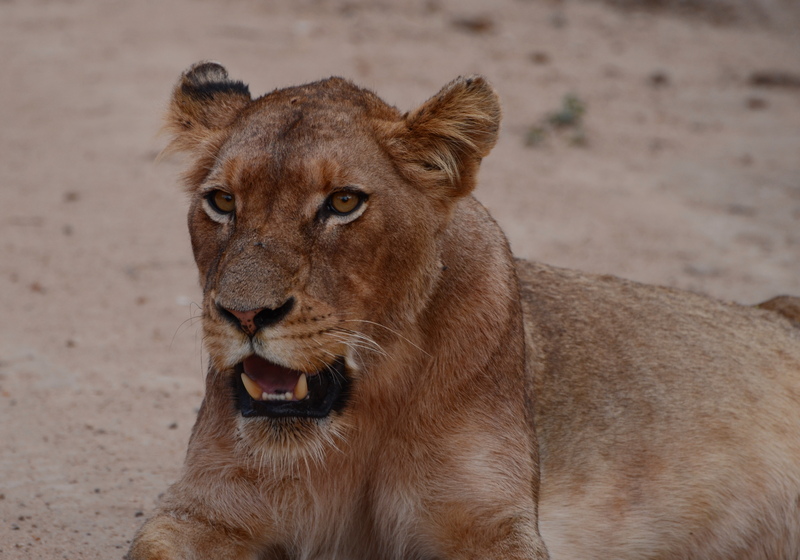 These prides usually consist of about 2 males, several females, and cubs. 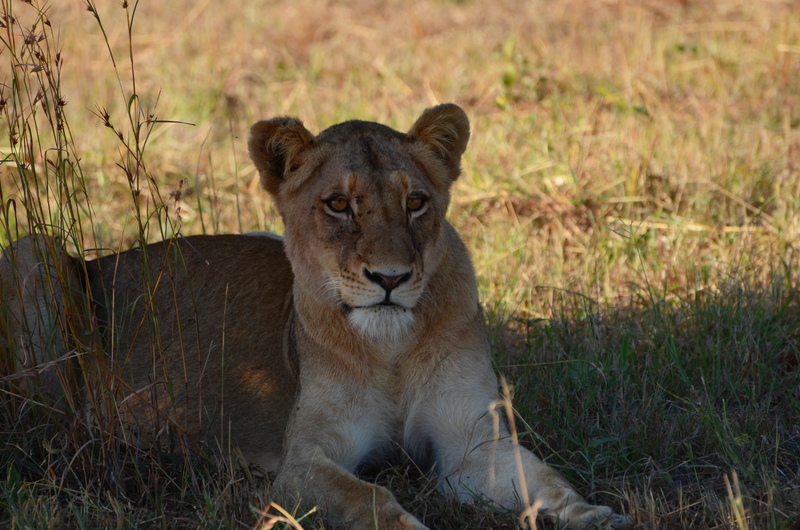 Most of the time, the lions we saw were calm and merely lazed about. 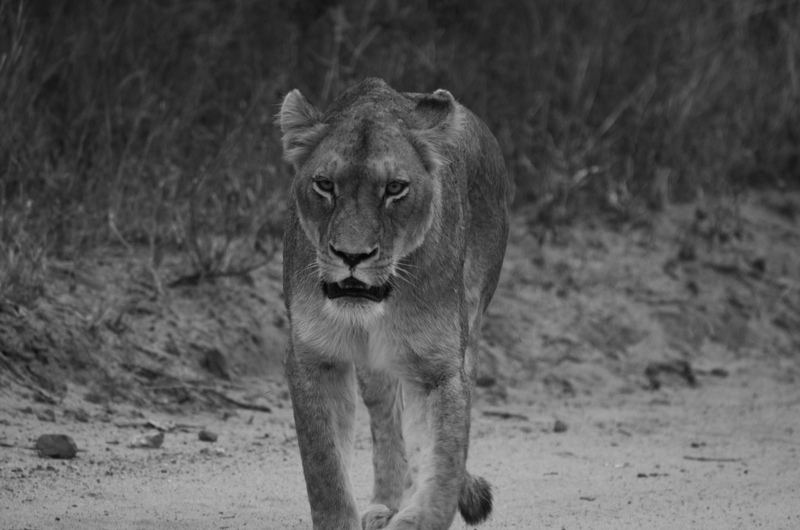 One time, however, we saw a male lion roaring to a non-visible lioness. At one point, he also started grunting and almost like coughing. 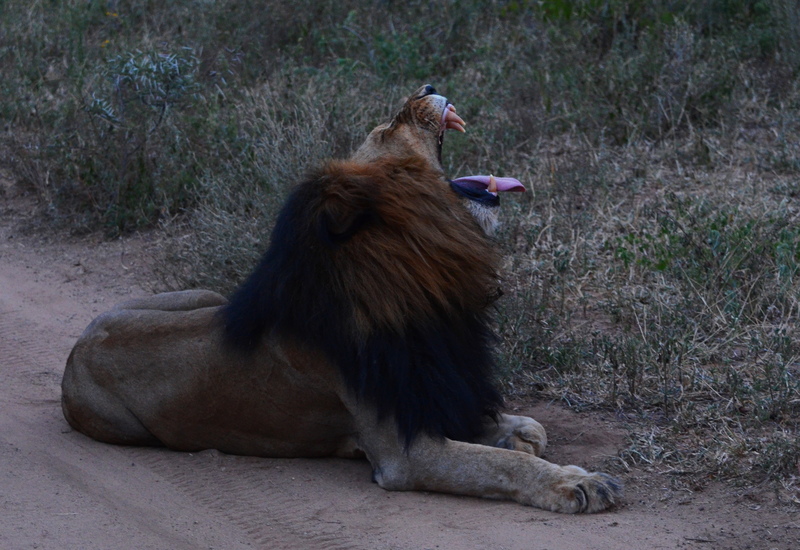 It sounded like he was hyperventilating and our guide told us he was having some trouble breathing (probably had a hairball or something caught in his throat). 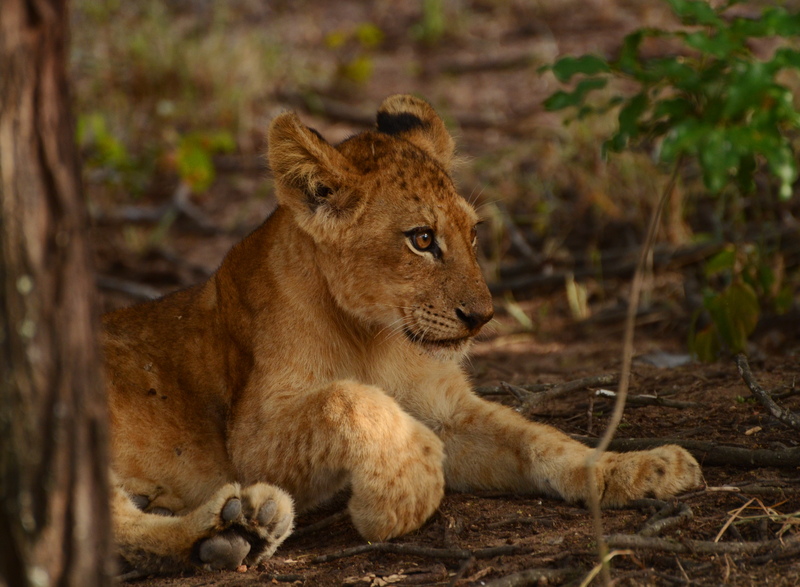 When we saw the cubs, it was nap time, so we saw them getting comfy either under the trees or beside their mom. 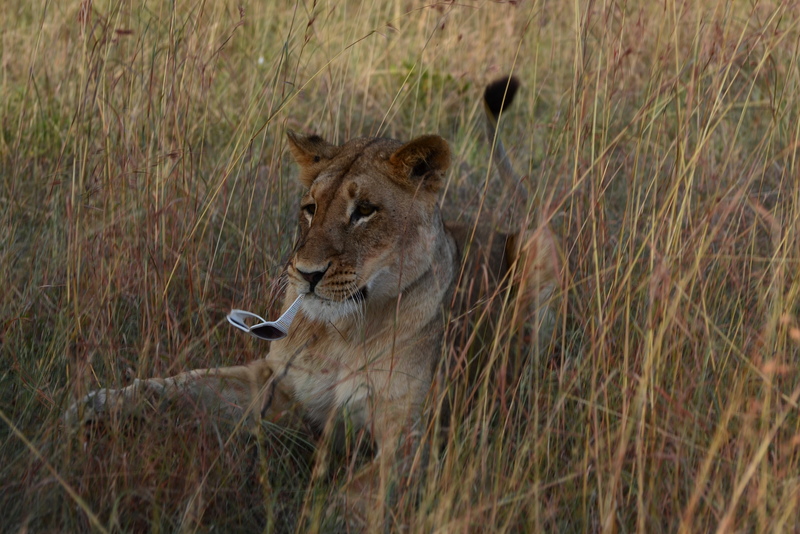 One day, we saw a large group of lionesses in a field and had a little incident! There I was, calmly sitting in the jeep and snapping away with my camera. All of a sudden I leaned forward to get a different angle and plop! my only pair of sunglasses – white and sparkly – fell off the jeep! “Shoot! !” I thought. What was I supposed to do?? They were right there, just below me beside the wheel. If I could just stoop down a little bit, I’d be able to get them. It was so tantalizing! Knowing it would take all of 5 seconds to recover them, yet because of the safety rules, I was not allowed to put any part of my body out of the jeep. Here’s the reason behind the rule. When the animals see you, they register you as a whole. To them, you are one big blob. Since they have gotten used to seeing this particular blob, they do not feel the need to run. However, if anything becomes a whole other distinguished figure, the animal may panic and strike or run. Also, they might then be more prone to do the same to other vehicles since they can no longer trust them. To the animals, it looks like some new thing appeared in mid air out of the familiar blob. This is why you are told to always remain seated, never get out of the vehicle, and not to move around too much. So when my sunglasses fell, I was in a bit of a query! No one else had seemed to notice yet so I nudged my mom and said, “Mom! 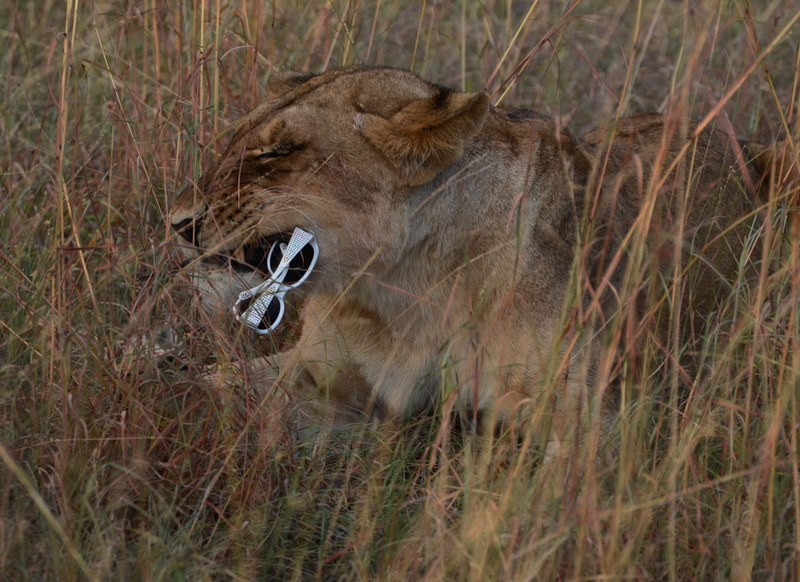 My sunglasses just fell!” Seconds after they had fallen, as I was debating what to do, one of the lionesses had arisen from her patch of grass and strolled over to the sunglasses, eyeing us all the while. 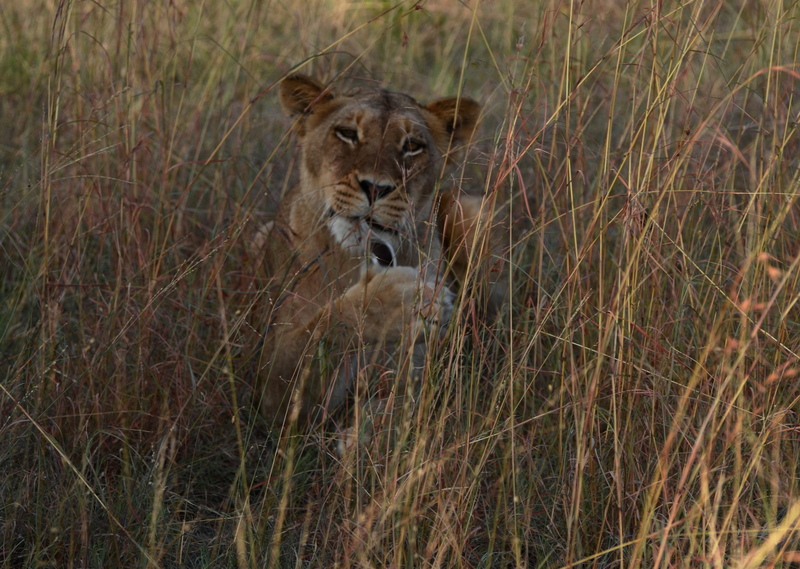 Now, as they had fallen right beside me, the lioness had strolled over to right beside me…..and picked them up!!! 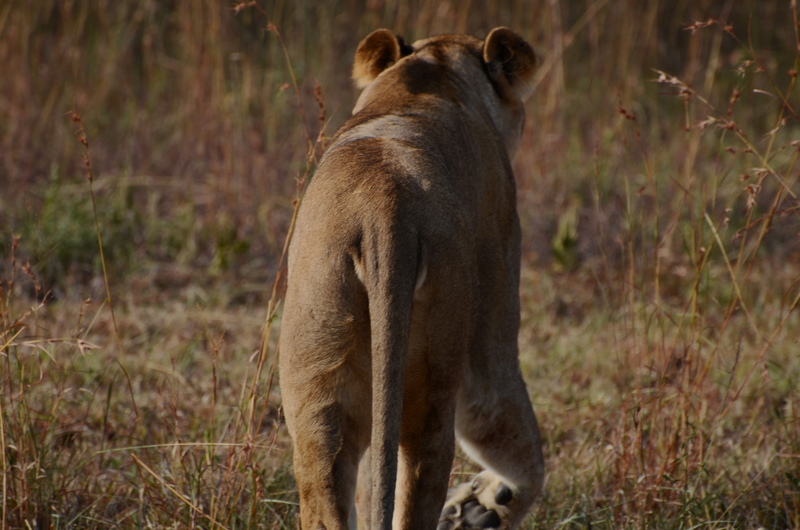 Then, somewhat quickly, she turned and walked over to a different spot. From there, she started to chew on them and all I could do was sigh….and take photos of this once-in-a-lifetime accident! That was the last time I saw those glasses. But let me tell you, the $5-10 that mistake cost me was well worth it because when, my friends, just when does something like that happen?? Over all, it was a really amazing experience. We saw males, females, and cubs (the whole package 🙂 ) and were able to see their different body builds and characters. We witnessed a really unique experience with the sunglasses, and we had the opportunity to photograph these intimidating creatures. It was an experience I’ll never forget. Thank you Kathryn 🙂 I had a lot of fun reviewing it myself!